DANOBATGROUP will exhibit the latest developments and technologies of its two product brands, DANOBAT and SORALUCE, at the main worldwide trade fair for metalworking technology, EMO 2015, from 5 to 10 October in Milano, Italy. As a highlight, SORALUCE will showcase a new range of milling-boring machines that have been created in order to revolutionize the market, thanks to the incorporation of a new design concept that emerges to give a respond to the needs of the operator with greater ergonomics and safety. 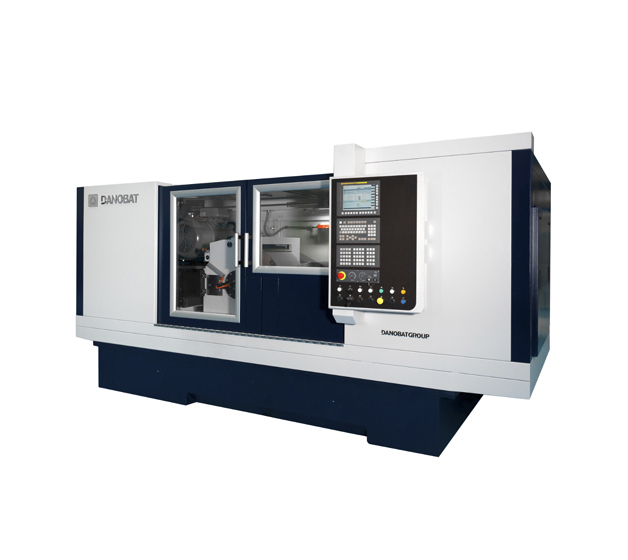 - The DANOBAT LT-400, an innovative high-precision hard turning lathe specially designed to work with both cylindrical and non-cylindrical parts, which makes it ideal for industries such as the automotive, hydraulic components, tooling and die precision parts, parts used for capital goods and all sectors where absolute finishing precision is required for parts with a high hardness. The lathe has been fitted with a granite bench, hydrostatic slides and heads, linear motors and a vibration damping system. - The centerless grinding machine, ECG-400 which stands out for being one of the most rigid centerless grinding machines available on the market to meet the most demanding requirements, including high speed manufacturing (120 m/s with CBN technology) paying special attention to rigidity and vibration damping. - The DANOBAT LG-600, horizontal configuration external and internal grinding machine, capable of grinding a 300 mm external diameter within a maximum between-centres distance of 600 mm. Out-of-round grinding of components such as cams is also possible. - The DANOBAT-OVERBECK IRD 400 one of the three-models of IRD range of high precision grinding machines for internal, external, radius, face and unround grinding. Maximum internal grinding diameter is 200 mm, workpiece swing is 400 mm and maximum workpiece weight is 70 or 170 kg.